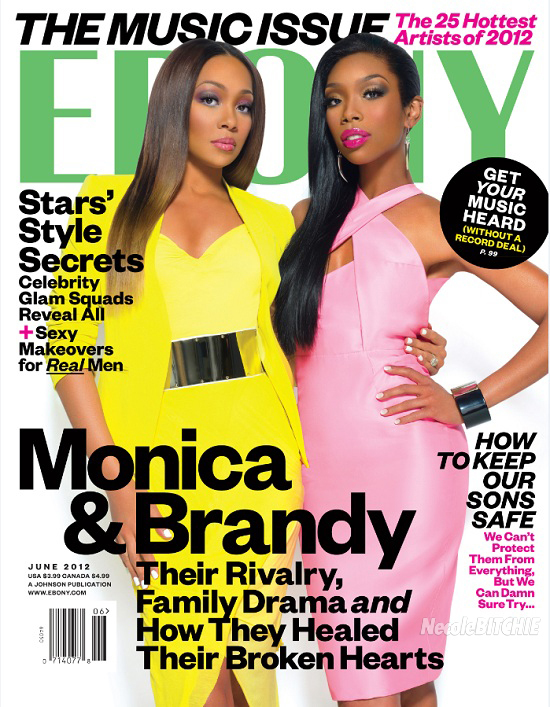 Monica and Brandy colorfully cover the June 2012 issue of EBONY Magazine where they dish on their lives and new albums, Monica’s New Life and Brandy’s Two-Eleven. Monica expressed her excitement over the cover tweeting, Be sure to pick up @ebonymag new issue with @4everBrandy & myself on the cover. In the mag, Brandy dishes on her new relationship and comments on Ray J/Kim K.